Through pink sheer curtains, the sun reflects off the walls of Laura Uhlman’s kitchen. The counter is decorated with sippy cups and coffee mugs. The tops of kitchen cabinets are lined with dozens of empty wine bottles used for homemade kombucha. A light scent of marijuana wafts throughout the house. Uhlman moves from side to side of the table that sits in the middle of the room. Her blonde hair is parted to one side, sitting slightly over her face to cover the bald spot on the top of her head. The kitchen table holds liquor distilling equipment and a coffee pot that cooks a hot, black, tar-like oil. 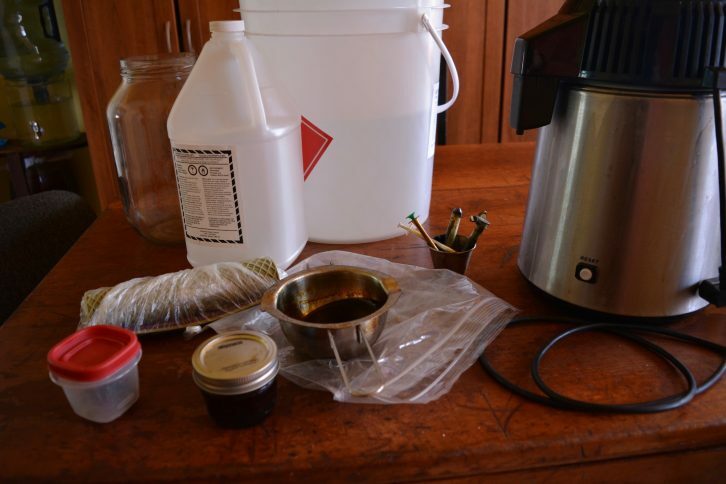 Uhlman is creating the concentrated cannabis oil she feels she needs for medical treatment. Like others who use cannabis for medicinal purposes, she has found that legalization of the substance has made it harder – not easier – to obtain. Since cannabis became available to all adults recreationally across the country last October, the landscape for medicinal marijuana has changed. Though legalization has set the stage for less prejudice and stigmatization when prescribing the product as a medical treatment, some barriers remain for patients who need it. Since legalization, medicinal cannabis users have been forced to seek out government-regulated online dispensaries for their products, in the wake of provincewide closures of storefront dispensaries. Licensed distributors have run out of patient medication because products have been diverted to the recreational market, to meet the increased demand. Some online dispensaries ran out of stock within a few days of legalization, causing many patients to have to find alternative ways to get cannabis. One medicinal dispensary in Halifax managed to keep its doors open post-legalization and continues to fight for better representation for those who need cannabis in order to live comfortably when dealing with illness. Chris Enns, co-founder of Farm Assists on Gottingen Street, has been at the forefront of this activism, refusing to close the dispensary doors to ensure that patients will continue to get the products they need. “My mission is to see the cannabis act and cannabis regulations modified so that the constitutional issues that have been highlighted by patients, and for that matter by the highest court in our country, are resolved,” he says. An example of this, according to Enns, is that cannabis remains the only prescription drug that is taxed nation-wide. Debbie Stultz Giffin, chair for Maritimers United for Medical Marijuana and activist for medicinal marijuana for more than a decade, echoes the need for greater access. The closing of dispensaries not only affects people’s medication, she says, it means there’s less education on how to use these products. “Some people enter the world of medical cannabis and they don’t have a clue about it. Maybe their doctor recommended it to them and maybe they were able to secure an exemption through the government, but they don’t have a clue how to consume it because there are so many ways that it can be used,” she explained. Without systems in place to help people educate themselves on cannabis, some patients can find themselves using the wrong product or taking an excessive amount because they don’t know how much they should be consuming. Giffin has spent the last two decades fighting the federal and provincial governments to prioritize medicinal cannabis and its regulations. In 1999, she was diagnosed with multiple sclerosis and her doctor was able to give her access to dried medicinal cannabis under section 56 of the Controlled Drugs and Substances Act. This section was the first law to permit the medicinal use of cannabis in Canada. Prior to 1999, using cannabis for medicinal purposes was only legal under special exemption. Rather than purchasing dried cannabis from pre-approved vendors, Giffin’s husband grew the cannabis that she used to alleviate the symptoms of MS. Her victory was short-lived, however, when their home was raided and her husband was charged with illegally growing cannabis, even though it was used only by Giffin. In 2001, the Marihuana Medical Access Regulations allowed patients, with the authorization of a doctor, to access dried cannabis by either producing their own, designating someone to produce it for them, or purchasing it from Health Canada. 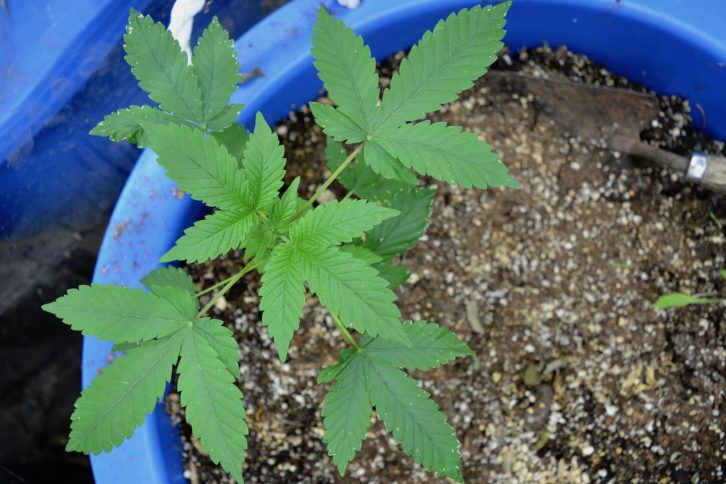 Under the program, however, no one with a criminal record for cultivation could be appointed as a designated grower, leaving Giffin without her medicine and without someone to provide it. The new program required that patients seeking cannabis as medicine would need their paperwork signed by a specialist, but at the time MS specialists were turning people away who were seeking to regain access to medicinal cannabis. “I actually found out from someone who I had met online that there was a pain-management doctor in this province who was signing for people. It was a 28-month wait to get in to see this physician,” she explained. Fortunately for Giffin, her family doctor was eventually able to find a specialist who was willing to sign off on her paperwork and provide her with the care that, at this point, she says she desperately needed. The Medical Access Regulations were replaced in 2013 with the Marihuana for Medical Purposes Regulations. The new regime once again made it illegal for patients to grow their own cannabis or to have someone grow it for them. This change was due to pressure from Health Canada to improve access to medical marijuana and cut back on legal home growing operations. 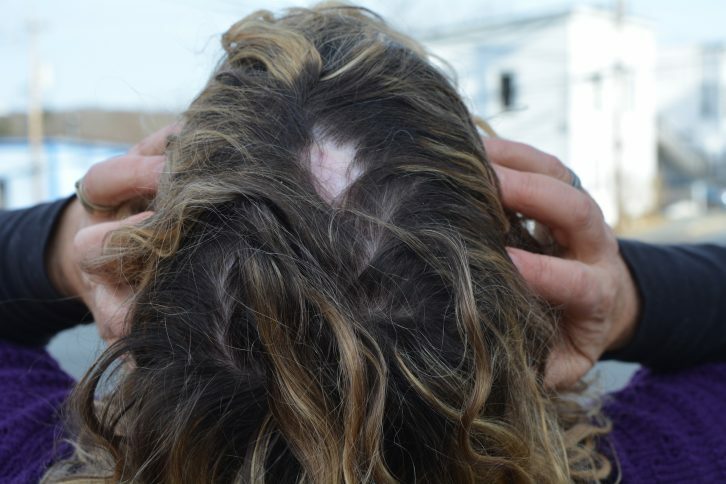 Laura Dorion Uhlman was showering when she noticed a growth on the top of her head. It was rough to the touch and, over time, became tender and the nearby tissue became damaged and broken. “I didn’t know what it was, but I wasn’t really worried about it at the time. But then it became more tender, and I had never really had any skin conditions before, so I thought it could probably be cancer,” she said. She was diagnosed in 2015 with non-melanoma skin cancer, a common form of the disease that does not usually spread to other parts of the body. While surgery is often required to remove the affected area of skin, depending location and severity there are alternative treatments, from radiation or chemotherapy to topical creams that can stop the cancer from spreading. When Uhlman was diagnosed, she knew immediately that she wanted to steer clear of chemotherapy to pursue more natural types of medicine – a practice that she has followed for decades. She attempted to discuss alternative methods to surgery and chemotherapy for treatment but was met with resistance from her doctor. While her specialist continued to push forward on the plan to get her into surgery, Uhlman began to research natural alternatives, including cannabis. Once he learned of her plan to not pursue surgery, the specialist decided he was no longer willing to treat her. In the meantime, her family doctor’s practice closed, leaving her without a doctor and without answers. Dr. Robin Grant works in palliative care, helping those with advanced life-threatening illnesses and their families have a better quality of life. She believes cannabis can help some patients with mild pain, but medical research isn’t where it needs to be to make it the go-to option for patients. 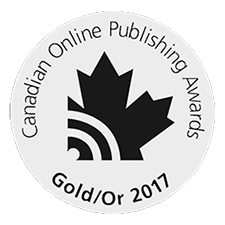 In 2017, she conducted a study with the Division of Palliative Care at Dalhousie University to explore people’s impressions of cannabis and what they believed the drug could do. Of the 42 patients surveyed, 76 per cent had cannabis recommended to them by a friend or family member, and 35 per cent believed that cannabis could play a role in slowing or curing cancer. These numbers, Grant says, were shocking. “So far there’s been no evidence from high-quality studies that cannabis cures or slows cancer. There is some basic lab level science showing that cannabis might have anti-tumor effects, but that hasn’t been rolled out to people yet,” she said. According to Grant, claims that cannabis can be any type of cure to life-threatening disease is unproven, and easily discredited. This doesn’t prevent her from prescribing cannabis, however, when she feels it will be beneficial for the patient. “I would guess I’m prescribing it only about 10 per cent of the time because the patients I see in palliative care, if they have cancer pain, it’s often quite severe. And the evidence for cannabinoids … is that while they might have some effect, it’s usually mild,” she explained. A study out of the University of Leeds showed that the one-year survival rate was 83 per cent higher when a patient had cannabis combined with specific chemotherapy than when being compared with a placebo. Though Grant doesn’t consider this study to be strong, she acknowledges that any research on medicinal cannabis helps. In 2016 the Federal Court of Canada ruled that regulations controlling access to medical marijuana were unconstitutional because they restricted patients’ access to medicine, violating the right to liberty and security of the person under the Canadian Charter of Rights and Freedoms. In response, the federal government introduced the Access to Cannabis for Medical Purposes Regulation, which remains the legislation that regulates access to medicinal cannabis. 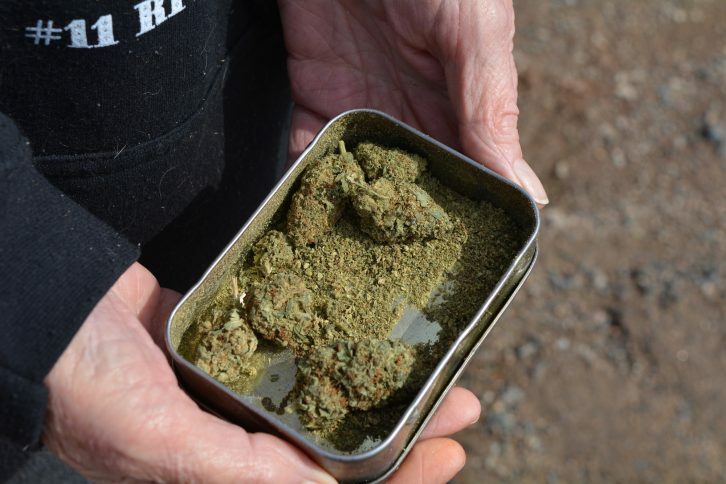 Patients can access dried cannabis or the seeds and plants they – or a designated grower – need to cultivate their own cannabis. Diluted cannabis oils can be prescribed to patients but, according to Uhlman, Enns and Giffin, these oils do not contain enough cannabis to be of medicinal use. After months of research and searching for a source, Uhlman found an old friend who was willing to provide her, illegally, with the stronger cannabis oil he believed she needed. “I still shake my head about it, like how insane is that? All because I want to be responsible for my own health,” she said. Purchasing the oil was no small task. Uhlman found herself dealing with what she would call “shady people” and was spending $600 per syringe – nowhere near the amount she believed that she needed. “I’m not a criminal. I’m just someone that wants to have some choices, any choices, just involving freaking plants,” she explained. After a few purchases, Uhlman began growing her own marijuana. Months of trial and error followed until she was able to successfully produce her own cannabis oil. Once she believed that she perfected it, she began to use the oil orally on a regular basis. After months of use, Uhlman says that she began to feel better and found that the growth on her head was no longer there. In place of the growth, however, is a bald spot. She’s convinced that cannabis has cured her because she had only used cannabis during the time of the growth’s healing – even though there’s no scientific evidence the substance can combat cancer. Editor's Note: This story has been revised, to reword the description of Uhlman's kitchen and to correct the spelling of a name. The last two months they have been out of my Red#1 when it’s been time to order. I never had the issue before it became legal. Where is the priority for medical users?